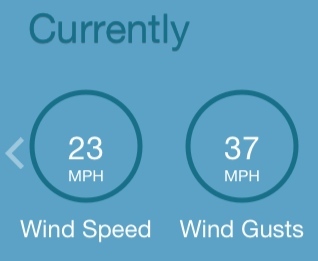 What the heck is with all this wind we've been getting?! It's finally warm enough to NOT have snow, but it's still not even enjoyable to be outside because it's been so windy. I just feel like after the winter we've had, we deserve to have some nice weather. This morning, I watched a movie with the kids, and then was trying to think of something active we could do. I decided to take them to the Metropark with their bikes, so that they could ride bikes while I got in my five-mile run. I can't fit their bikes in the Jeep, and we don't have a hitch to be able to carry them on the back, so I hoped that my dad would let me use his truck. The boys rode their bikes to my parents' house while I followed in the car. My dad said I could take the truck if I wanted, but he had been planning to take the kids to the Metropark at around noon to dip net. 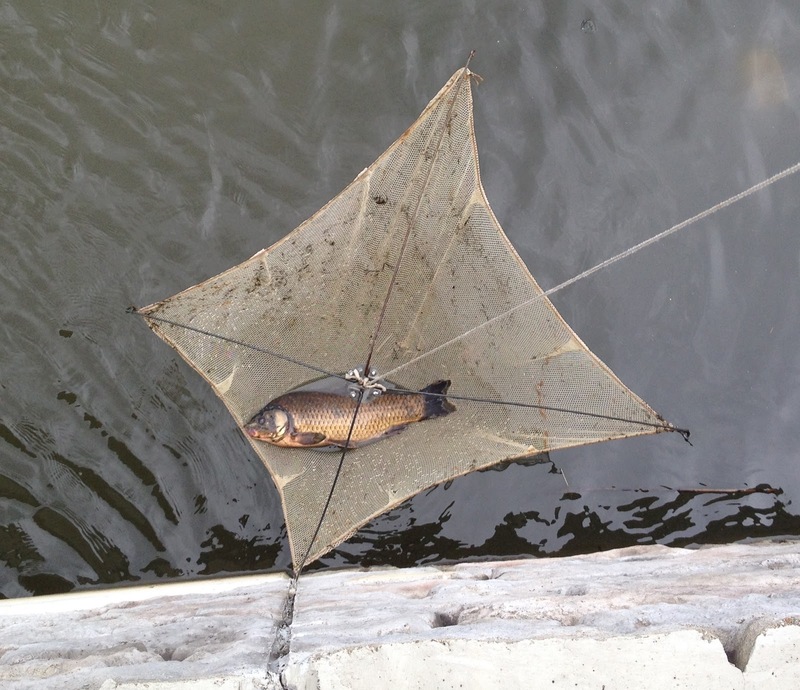 (Dip-netting is where you drop a big net off of a bridge into the water, and pull it up once in a while to catch fish. I used to do it all the time when I was a kid, and my kids love it now, too.) I like dip-netting because it's more humane than fishing with a hook. The fish don't get hurt, and it's fun to pull up the net to see if you got anything. 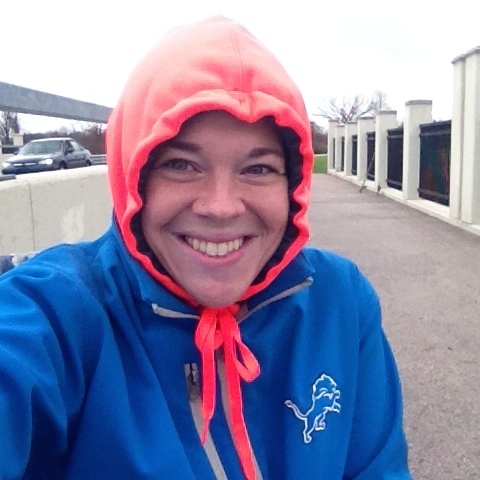 The wind was really bad, and I wasn't even sure if the kids would enjoy riding their bikes in the wind like that, so I decided to just go for a run and then go dip-netting afterward with the kids. The kids stayed with my dad while I ran around the neighborhoods to get in five miles at an easy pace. 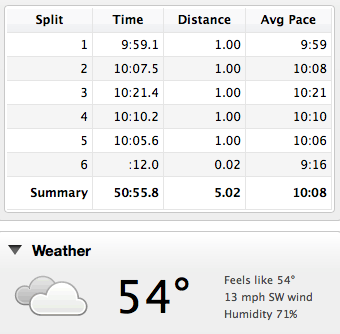 Five miles is my shortest run of the week, but it felt SO long. I just felt really fatigued, and my legs didn't want to move. Running into the wind wasn't exactly fun, either. I even had to run right past my house (I started the run from my parents' house), and it was tempting to call it quits there. But I finished. I just really hope that tomorrow's long run feels better than today's run. It's supposed to be windy tomorrow, too, so I may wind up on the treadmill. After I went home, took a shower, and ate lunch, I headed back over to my parents' house. I decided to drive to the Metropark separately, because I don't like to stay nearly as long as my dad and the kids do. I met them at the park, and instantly wished I'd brought my winter coat and gloves. And a hat. Thankfully, I'd grabbed Jerry's jacket as I was leaving the house, but I wished it was warmer. It was overcast, and the wind had picked up even more, and occasionally, I felt a few raindrops. They caught a few fish, but didn't keep any of them. My dad brings two nets--one big one for catching fish, and a mini one for catching minnows (to use as bait on a couple of poles). My dad has been dip-netting for his entire life, and he's never caught anything but minnows and tadpoles in the mini net; but today, he managed to catch a huge carp. Aside from that one, he caught two more in the big net. I thought he said those were carp too, but they look different, so I might be wrong. I'm not a fisherman! I completed Day 3 of no desserts/sweets. Today was much harder for me than the first two days. I was starving at about 1:30 this afternoon, even after eating lunch, and I kept thinking about ice cream. The day felt like it went by so slowly, and I wasn't sure I'd be able to stick to my challenge today. But I did it--no sweets. Three days down, and 28 more to go! I saw the pics on Instagram and was like, I definitely need to check out Katie's blog to find out what Dip-netting is. Thanks for the explanation, it sounds like a lot of fun! Glad you had a good day, I'm in Alberta, Canada and it's snowing here right now, in MAY! Anyway, almonds are indeed healthier than ice cream, don't get down on yourself, you're such an inspiration! We had the warmest day in a month and it was beautiful! I hope y'all get some of our nice weather soon! Beautiful, huge carp. It is really hard to catch one that big with a net. The other two might be perch or roach in my opinion, but it is hard to tell from this photo. Congratulations! I've been reading your blog for 2 years, and I think this is my first time commenting. I just wanted to let you know that I look forward to reading your posts every night. Your month of no sweets challenge has inspired me to do that myself, so know you have a fellow runner and sweet lover in Chicago in there with you! And seriously, the wind was crazy yesterday. I'm in PA and we were feeling it here, too. Can we just get a warm day with a warm subtle breeze, already? I did a month of no sweets once and found myself eating saltines as a snack. I then realized my body was craving the carbs that come from sweets. So interesting what you learn about yourself when you do something like this. :) You're doing great!